List Rules Vote up the characters who managed the impossible and beat the Caped Crusader in a fight. It's been said that, given enough time to prepare, Batman can beat just about anyone at anything. However, Batman doesn't always have that much time for planning, meaning there are plenty of times when he's lost a fight. That’s not to say Batman isn't the smartest, richest, and most careful superhero out there - sometimes he just gets outclassed. Most of the examples of him getting badly beaten usually come down to one thing: he didn’t know what he was up against. Maybe he was facing off against a new villain, or the threat was in the shadows, or he simply didn’t know enough about a threat, and the lack of information was bad enough for him to lose. But Batman is no stranger to learning from failure. His entire life is based on the idea that he remade himself after suffering the worst loss a child possibly can. A defeat to him is nothing more than a learning experience, which he uses to come back smarter, stronger, and faster than before. A villain - or sometimes an ally - may get the best Batman once, but it rarely happens twice. Unless, of course, you’re the Joker. Keep reading below to see 14 times when Batman found himself on the losing end of a fight. Bane's first comic appearance portrays him as an incredibly smart criminal who knows how to push Batman to his limits - much like the way The Dark Knight Rises portrays the character. Bane stages a massive jailbreak from Arkham, and Batman and his allies completely exhaust themselves rounding up the villains. Then, just when Batman can barely stand, Bane ambushes him at his home and breaks his back. This knocks Batman out of commission for quite some time, and leads to his replacement by the increasingly unstable Jean-Paul Valley. Eventually Bruce Wayne mends up and reclaims his rightful place as the Dark Knight, but the memory of his iconic encounter with Bane still lingers. Jason Todd’s gruesome death at the hands of the Joker is one of Batman's defining failures. So, when Todd comes back thanks to reality-bending hijinks and comic magic, he’s pretty pissed off to learn that Batman never took revenge on the Joker. Todd decides to use his skills to bring a new brand of vigilante justice to Gotham. Batman: Under the Hood's culmination has Todd beating the Joker with a crowbar, beating Batman into submission, and then demanding Batman choose to kill either him or the Joker. While Batman manages to escape the situation without killing anyone, he was still beaten - and he knows it. 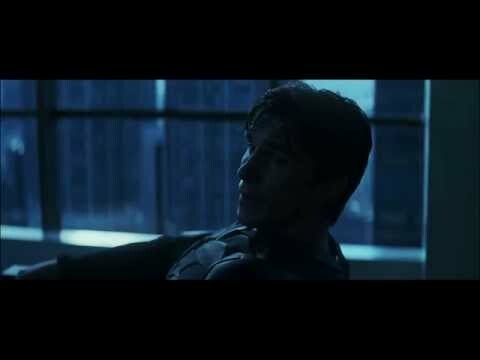 The Joker has had so many moments where he manages to break Batman. Not physically, mind you, but spiritually. The beating of Jason Todd, paralyzing Barbara Gordon, and framing Batman for murder after committing suicide in The Dark Knight Returns are all good examples. But one of the most memorable times the Joker bested Batman was when he killed Rachel and ruined Harvey Dent’s life at the same time in The Dark Knight. In one brilliant, sadistic stroke, the Joker ruined three lives and nearly broke Bruce’s spirit for good. Not to be confused with Deadshot, Slade “Deathstroke” Wilson is an experimental super soldier gone horribly wrong. The guy has caused problems for all sorts of super heroes, and is perhaps most beloved for his role as the antagonist in the Teen Titans show. When Slade finally comes face to face with Batman, he proves he's one of the few people who can actually defeat him in hand-to-hand combat.